Northville Ridge RANCH home is only one of two ranches in the entire community of over 440 homes. Also the least expensive opportunity to live in this beautiful community. 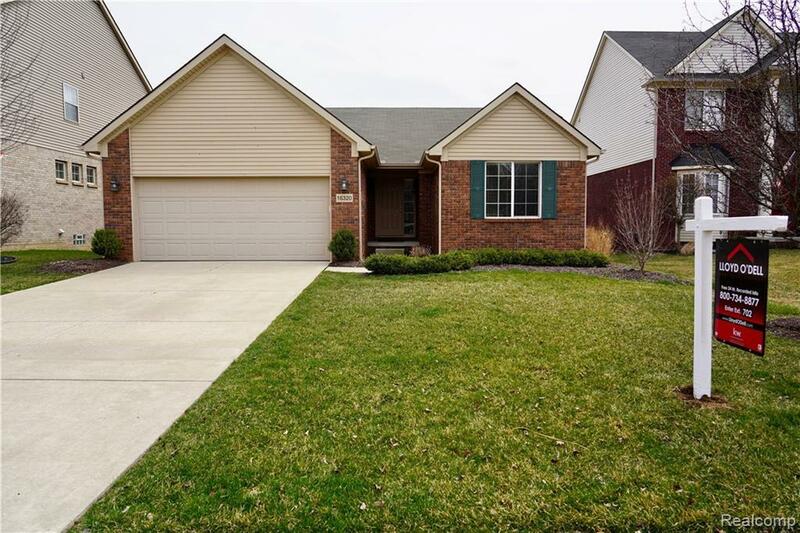 Home features over 1,540 square feet with an additional 1,500 square feet in the daylight basement, prepped for full bathroom, and partitioned off bedroom. Other features include: open floor plan; great room with vaulted ceiling & gas fireplace; rich wood cabinets in kitchen with granite counters, stainless steel appliances; wood floors; New Bali faux wood blinds throughout; freshly painted; first floor laundry room; newly rebuilt/added Trex deck with wood encasement and egg rock stones below; Pella windows; new carpet in 3rd bedroom & stairs; master bath includes shower & soaking tub; freshly redone open concept landscaping. One year home warranty. Beautiful community offers clubhouse, pool, picturesque ponds, & paved walking paths. Close to shopping & dining. Highly acclaimed Northville Schools.